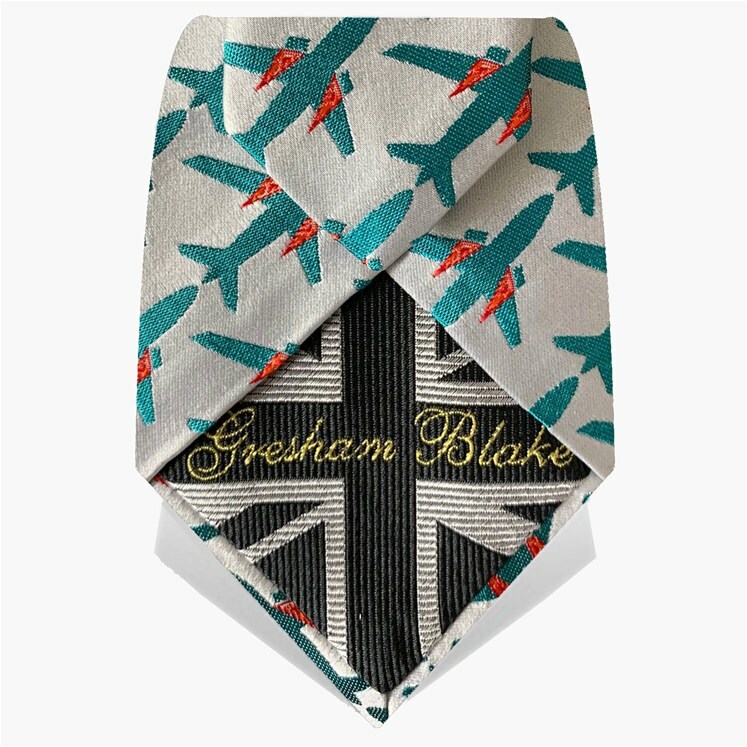 100% silk limited edition Gresham Blake Tie. 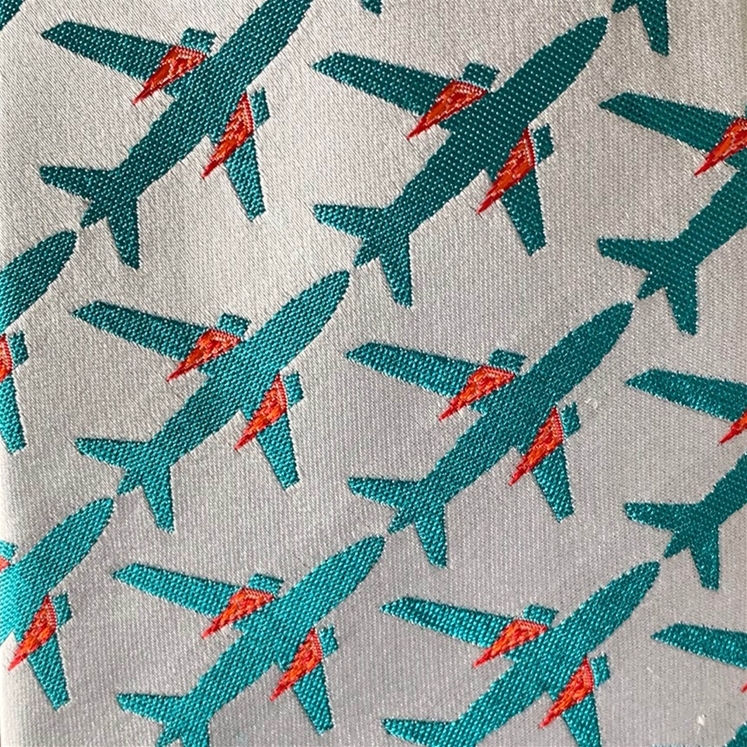 Silver base colour with turquoise aeroplanes woven throughout, flashes of red coming from the engines. 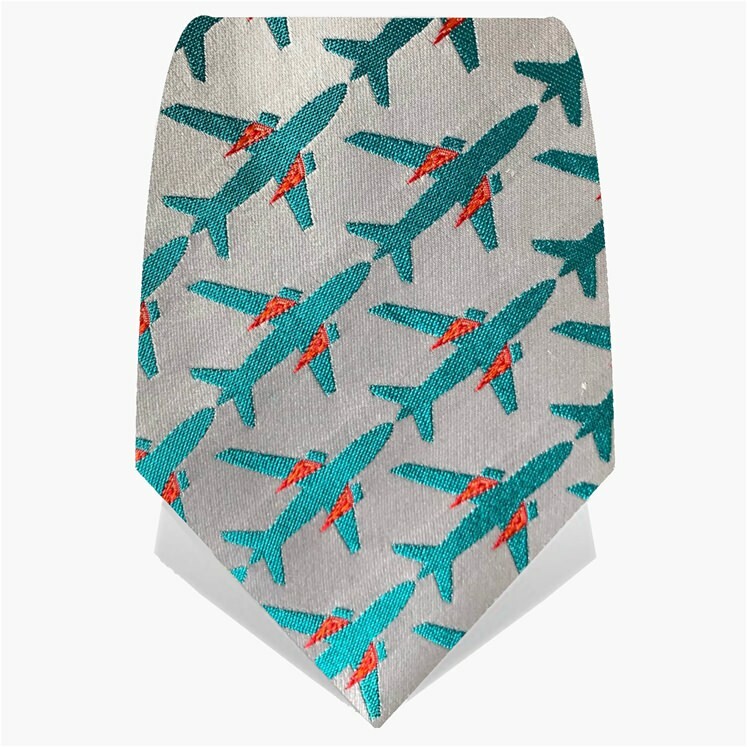 This tie is part of our celebratory 20 year collections. Made in England. 175cm X 8cm. More colours also available.